Does Walcott Deserve A Place In The Starting Lineup? A star in the making. A gem waiting to shine. The next Thierry Henry. These were some of the words which were used to describe Theo Walcott when he first signed for Arsenal in 2006. The guy was considered the ‘next big thing’ in England since Wayne Rooney. 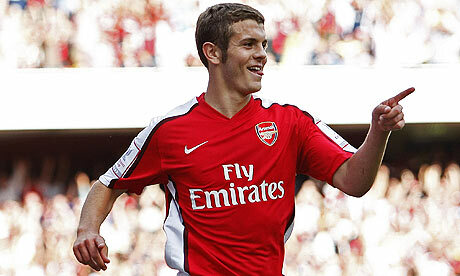 And indeed when he was selected for the England World Cup squad in 2006(even before he made his Premier League debut!! ), the hype was already in full swing. Although Theo did not get a single minute in the whole of the tournament, expectations were still very high. After all, he was the youngest player in the tournament. It’s been four years now, how much did he improve? Well, if you follow the analogy that since he made the World Cup in 2006 but not the World Cup in 2010, then he did not improve but deteriorated. Of course, we all know that’s not true. His World Cup selection in 2006 was just wrong and he himself admitted that. Whether he deserved a place the next time around is questionable as there were older, more experienced players the manager could have opted for. But one thing’s for sure, he certainly improved a lot since 2006 but just not to the level many expected him to be in. What are his weaknesses? Certainly not his speed, that’s for sure! The guy is undoubtedly the fastest player in the Premier League and it is this attribute that people want him to build around. Theo is weakest at his decision making and his crossing ability. Time and time again he tries to cross the ball when he could have hold on to it a little longer and vice versa. At other times he would drive in a high cross when a low one would have been more appropriate. Theo is deployed by Arsene Wenger as a winger which Theo argues is not his best position. But most Arsenal fans know that this is the same tactic Wenger used with Thierry Henry when he first joined Arsenal. This made Henry develop into a complete player which we know he is. Since Walcott is played as a winger, he should take his role seriously. But so far his crossing ability has disappointed us. He needs to practice more vigorously on this aspect of his game. Lastly, he needs to improve his defensive qualities. I know he is a winger but Arsenal is a team which gives away 2 goal leads rather easily and naturally it needs all the help it can get from its midfielders. Theo does not provide those much needed defensive attributes like tracking back, holding up play and being a physical presence on the field. This is especially true when he is brought in as a sub in the 60th or so minute to help protect the lead and provide more effective counter attacks. He does the latter very well but fails in the former. A good example of this is the last game against Fulham. After Walcott was called on, he was almost invisible, seldom providing any defensive cover. When he did have the ball in his feet, he seemed rather rusty giving it away at the most crucial moments. 1. Samir Nasri: With Cesc Fabregas in the team, Nasri is almost sure to start on the right. Nasri is a completely transformed player this season. Having scored 4 goals in his last 3 games, Nasri has done well to carry the team forward in the absence of Cesc Fabregas. With his current form, I do not see any player in the Premier League replacing him let alone Theo Walcott. 2. Emmanuel Eboue: Given that Eboue was predominantly used as a right back this season, he is still a candidate for the right wing as he was used in midfield last season. If ever a crisis were to arise in midfield, Eboue could be slotted in as a temporary fix. He is currently injured but when fit, he can provide the defensive cover on the right which Theo fails to do. But because he lacks in pace and his finishing ability is a notch under Theo’s, Eboue is behind in pecking order for this position. 3. 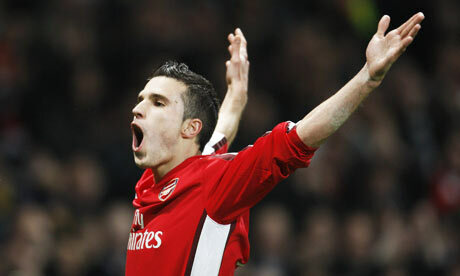 Robin Van Persie: Most people are ambivalent about RVP’s role in this team. On one hand, when RVP is fit(a miracle to Arsenal fans) they want him to play and on the other hand they do not want Chamakh to drop to the bench. So, to fit RVP into the starting lineup Wenger has to play him on the right. 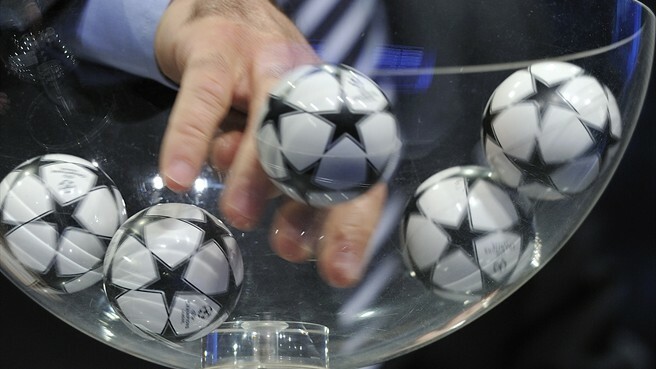 If this becomes the case, then Walcott’s chances of making it into the starting line up will be unfortunately thwarted. 4. Tomas Rosicky: This is one player who thus far failed to make a big impact at Arsenal as he was always held back by injuries. But these days he seems a bit stronger and looks less prone to injuries. This is the positive side to his game. But, Tomas has been widely used as a substitute this season and rightly so. When he does start, he looks like a shadow of a player who made such a huge impact on the Czech national team in the World Cup of 2006. He seemed to have such a great finishing ability then and some of his long shots were stupendous. Now-a-days, though, he seems to lack pace and fails at most of his attempts on goal. This might be down to his age. The Little Mozart, although he might not seem to be so, is almost 31 years old and his best years are probably behind him. Nonetheless, he is very much a strong candidate for this position and Walcott has to prove that he can contribute more than Tomas can in this year’s title challenge. The worst part is that most of these players can cross better than Theo which gives Wenger even more reasons to start him on the bench. Walcott faces some stiff competition this season unlike any he had ever faced before. It will only be through some emphatic hard work and substantial diligence that he will get a starting place in this strong Arsenal squad. But in case he does not, as Arsenal fans we should realize the guy is only 21 years old and has time on his side. Not everyone progresses at the same rate and us fans have to be patient with Theo. Just forget for one moment that Theo ever was in the 2006 World Cup squad at 17, that he scored a hat-trick against Croatia in only his second World Cup qualifier and you will begin to realize how the people and the media have been so over-expectant of him. Let him take his time and one day he will grow to be the player that we all know he will become, not a successor to Thierry Henry but Theo Walcott, a virtuoso in his own way. Eden Hazard, heard the name? Pretty much most people who follow football closely will know that he is one of Europe’s most talented footballers. He’s got electrifying pace, a great shifter (almost Messi-like) and has been a match-winner for Lille with some influential displays. Can we get him? Nope, almost impossible now. Unless he is a devoted Arsenal fan, he won’t come to Arsenal. Although he is strongly linked to Liverpool as well, he won’t go there either. 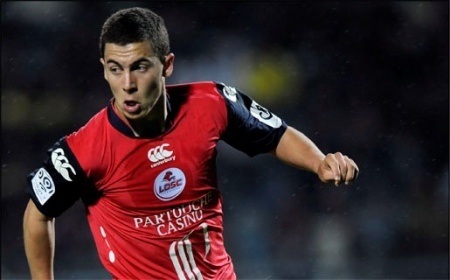 What will happen is that as soon as there is the slightest hint that Eden Hazard is available (if not this transfer window then another one), the likes of Real Madrid and Chelsea will come in and try to swoop him up at unmatchable prices. So that means another world class talent out of our grasp? I wouldn’t really look at it that way. It is true Arsenal have had some bad luck in the transfer market at times. Wenger did state that even the likes of Cristiano Ronaldo and Fernando Torres could’ve joined Arsenal at the time they were available. If you actually look at our young attacking options, they’re quite amazing on paper. Samir Nasri is only just 23 and is becoming a better player by the day. He keeps playing like this and in a few years time we’re going to start to consider him an Arsenal legend. Also, the fact that he will be a considered a regular in the France team will help him mould into that star we need in our team. Theo Walcott is the potential ultimate Gunner for me. Arsene Wenger didn’t just give him the No. 14 shirt without a reason. He won’t fill up Thierry Henry’s boots, but he will be right up there. I’m hoping injuries are out of his way and with a few more first team opportunities, he will build more confidence and develop a better footballing brain to reach his peak. The big name that fans don’t consider ‘youth’ is Cesc Fabregas. We often tend to forget that he’s still young (only 23) because he’s such an integral part of our first team. The truth is he will also only improve. The problem is that there is so much transfer speculation surrounding his link to Barcelona, that it’s not helping him. What’s even worse is that he’s been rumoured to go back to Barcelona since he started featuring in the Arsenal first team, and yet he’s still at the Emirates. Now what we need is for that speculation to disappear forever. Barcelona just signed Ibrahim Afellay, and Fabregas should be smart enough to realize that he’ll probably have to spend a majority of the time in the Barcelona bench as well. Once Fabregas is only seen as the indispensable Arsenal captain and not as a Barcelona transfer target, we’ll see a new Fabregas. I’m not even going to talk about Jack Wilshere, Aaron Ramsey and Carlos Vela this time. Also not even mention the likes of Samuel Galindo, Wellington Silva, Henri Lansbury and JET who are outstanding prospects in the making. Now you ask yourself, should we really be thinking about Eden Hazard? It’s not the end of the world. The beauty about football is that talented players just keep on coming in the ranks. We also have the manager who has the best eye for youth. So let’s be realistic and leave the ‘Hazard’ous one for others to handle. Samir Nasri’s breathtaking goal against FC Porto last season has been nominated for the prestigious FIFA Puskas award for 2010. This is basically FIFA’s best goal award.